When arriving at Homewood ski resort, don't let the simple and small scale of the base facilities mislead you into thinking about what this mountain has to offer. This mountain is full scale. 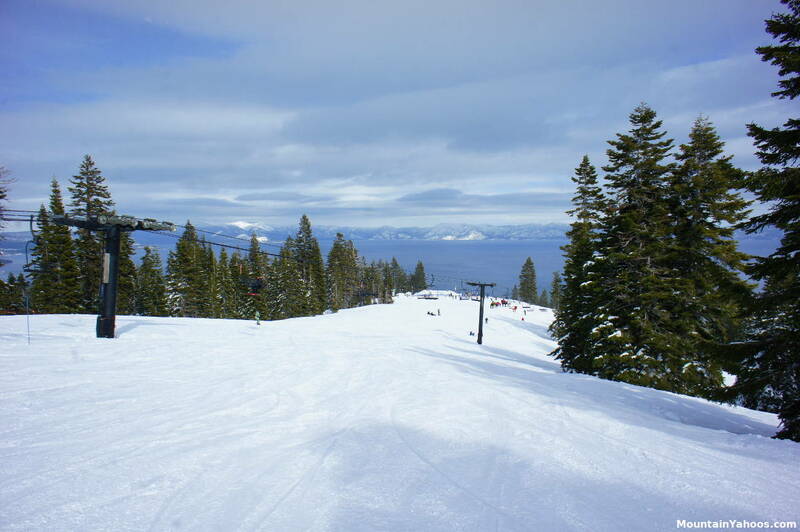 Homewood is a large mountain with a full breadth of beginner to expert terrain. Also, when good snow conditions bring out the crowds to Squaw and Northstar and fill their parking lots, keep driving and head down to Homewood to park, ski and avoid the crowds. There are two base areas, each with their own parking. Overflow parking is on Hwy 89. 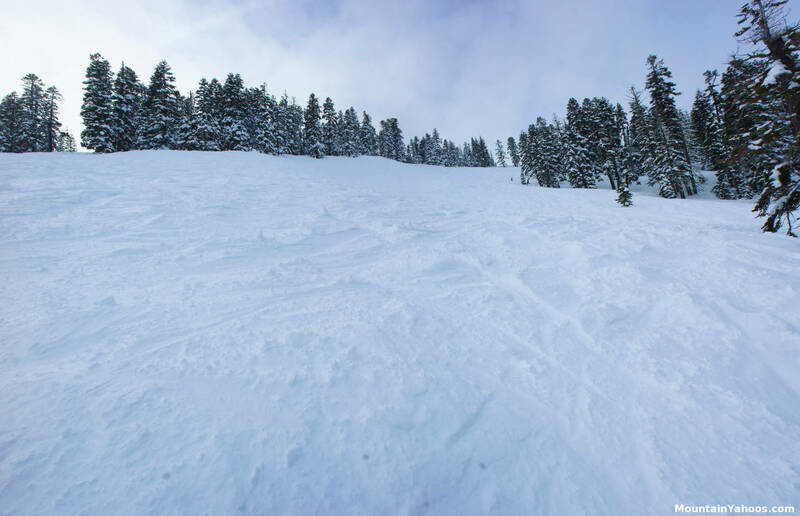 In addition to the in-bounds terrain, their is snowcat skiing available thanks to Homewood snowcat adventures on the mountain peak behind Homewood. Homewood is the closest resort from the shores of Lake Tahoe (the lake is on the other side of the highway) so Homewood has some of the most spectacular lake views. Stopping to take a break has never been more scenic. Runs at the mountain base. Blue run enters from the right. Facing run is a black diamond run, "The Face". Note that the run has a groomed side making it more easily navigable. Homewood completely grooms their beginner and intermediate runs. 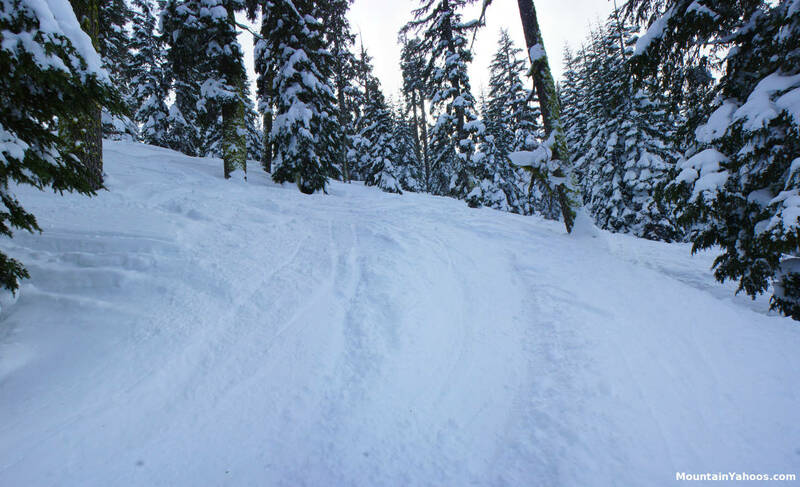 Some popular and more heavily traveled advanced runs are also groomed. Homewood has two mountain bases: North Lodge and South Base. Each have a single beginner green zone. 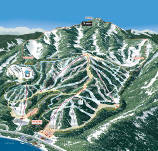 Most of the mountain is marked as intermediate blue runs which make up 40% of the mountain terrain. All lifts have the option of at lease an intermediate path of descent. All lifts also have the option for an advanced black diamond route down including some tree runs. The double black diamond expert runs are limited to "Quail Face". This area is often closed after a powder dump due to avalanche mitigation. Be patient and don't go under the rope if it is marked as closed. 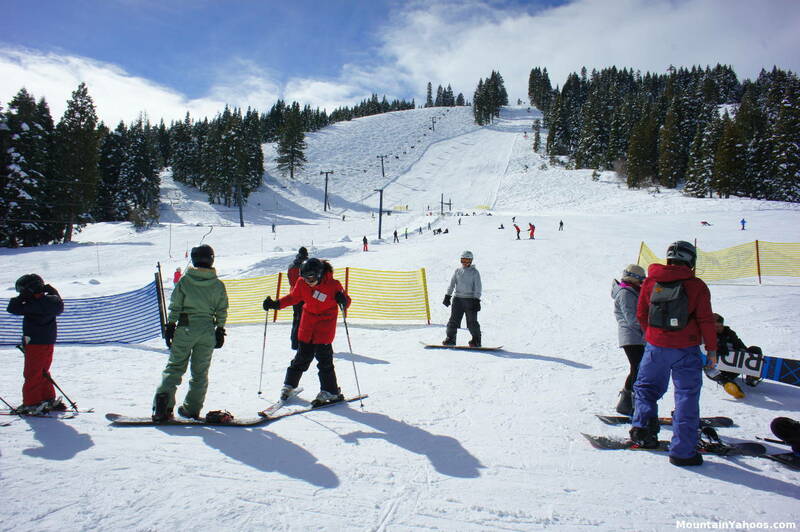 The beginner runs are limited to two small areas at each mountain bases, North and South. Each have magic carpet lifts to carry even the most uncoordinated and hesitant. Intermediate skiers must be careful to choose their routes carefully and follow marked blue runs to avoid the advanced terrain. Intermediate skiers will find the blue runs to be well marked and groomed. Some of the single black diamond runs are just slightly steeper versions of the intermediate runs and might offer a smooth transition to advancement. Intermediate blue run: "Second Creek". 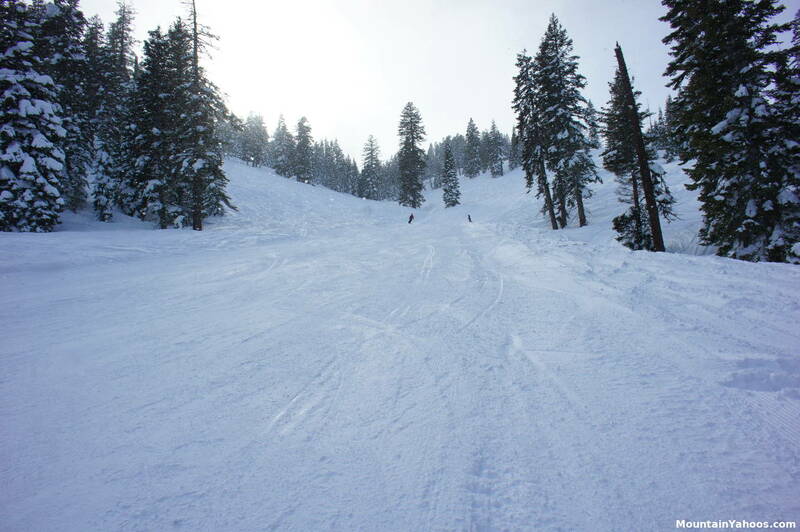 There are single black diamond runs dispersed throughout the mountain from top to bottom. Many are also groomed making them easily navigable. 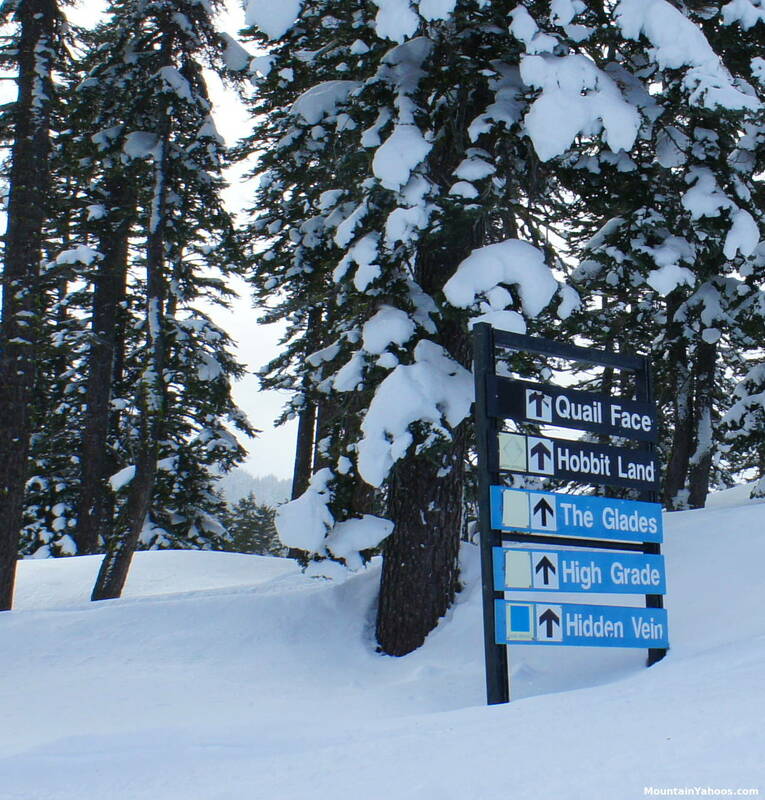 To challenge one's self even further, try the tree runs or the double black diamond runs on "Quail Face". The only chute to be found is 55 chute on "Quail Face". Unfortunately this area is often roped off after a large dump for avalanche mitigation. Take a skier's left off of the "Ellis" chair lift and follow the run "Noonchester Traverse" to Quail Face. Other advanced ski options are also available like the tree run "Hobbit Land". Double Diamond Expert Runs: "Quail Face"
The tree runs are scattered around the mountain and most are rated at least an advanced black diamond. Off the top peak of the mountain, take a skiers left off of the "Ellis" chair lift and follow the "Noonchestar Traverse" to a double black diamond marked run called "Hobbit Land". 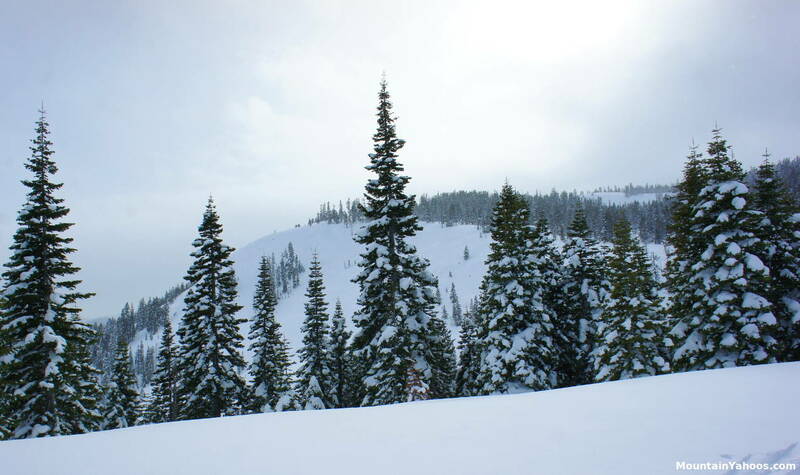 There are multiple places to drop in and you will find this to be the largest of the tree skiing areas at Homewood. 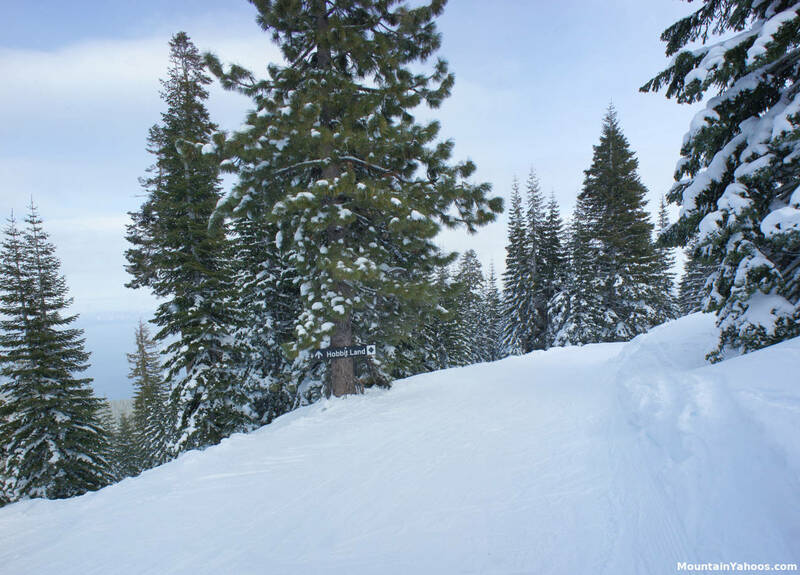 Another tree skiing option is to take a skiers right off of the "Ellis" chair lift and follow "Rainbow Ridge" to "White Lightning" or any of the other points to drop into a tree run. Black Diamond Tree Run: "Hobbit Land"
Any un-groomed advanced run will develop moguls eventually unless there are hefty snowfalls to resurface the run. This is often the case with ski resorts in the Lake Tahoe region, there is a lot of snow coming down on a regular basis. We did not observe any stereotypical mogul runs but that does not mean that this is a given state of the mountain because mogul formation is dynamic and weather dependent. Boundary ropes within the resort are to be respected and anyone found in a closed area will have their lift privileges (day ticket or season's pass) revoked with the possibility of arrest. As for the backcountry, Homewood maintains an open boundary policy. Note that Homewood does not patrol or perform regular avalanche mitigation in the backcountry. The backcountry is in its natural state. You will assume all risks associated with the backcountry. 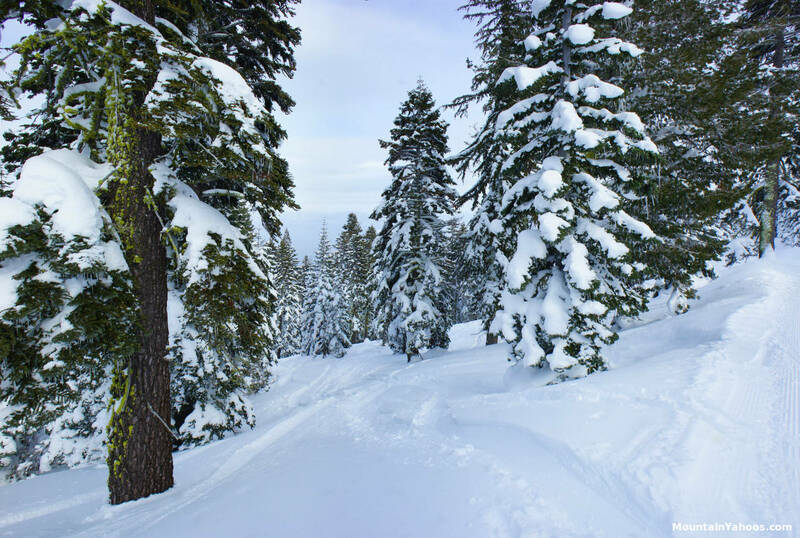 Note that it is unlawful to pass through closed resort areas in order to access the backcountry. Homewood claims to have five terrain parks although we found four marked on the trail map. They have some rails and jumps but its not enough to make Homewood a destination for those seeking a terrain park. 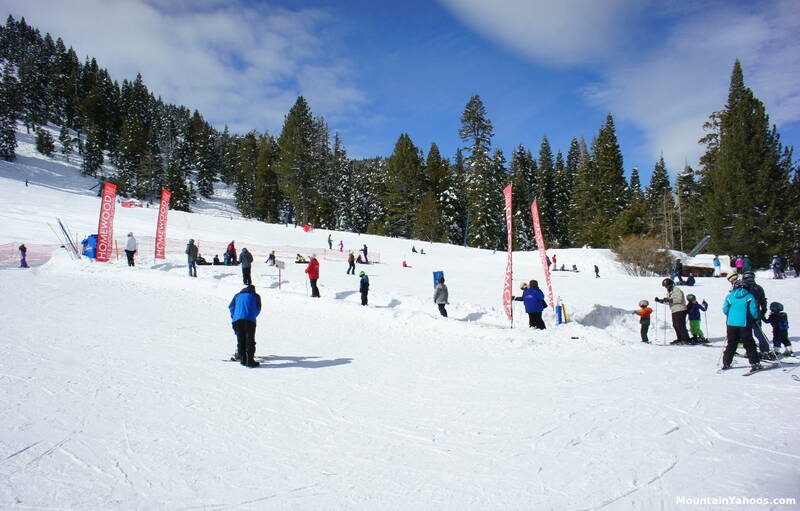 Lakeview Terrain Park: on the green run "Rainbow Bridge" accessible from the peak of Lasky Lane chair lift. Jumps. Homewood does not have an associated village or town. Lake Tahoe is lined with small towns all around the perimeter of the lake with a plethora of places to shop. Kings Beach, Crystal Bay, Incline village and Truckee are all towns located at the North end of Lake Tahoe while the town of South Lake Tahoe is an equal distance in the other direction. The two mountain base lodges of Homewood support basic needs only.